Join Marty McFly and have the time of your life with this all-star lineup from the 1985 era featured in the hit "Back to the Future" franchise! 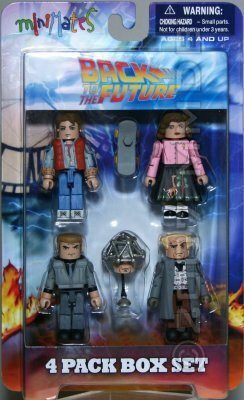 Featuring Dr. Emmett Brown, Biff Tannen, Lorraine Baines and Marty himself. Add this set to your collection before you're out of time!